Or does this show a correlation between the diverse cultural values and the academic success and achievement the country can attain? Chen, Fang Fang, and Yiming Jing. 2012. “The Impact of Individualistic and Collectivistic Orientation on the Judgment of Self-Presentation.” European Journal of Social Psychology 42 (4): 470–81. doi:10.1002/ejsp.1872. The common core standards are a set of educational standards in the United States that are set for mathematics and english instruction for grades kindergarten through twelfth grade. J.V. 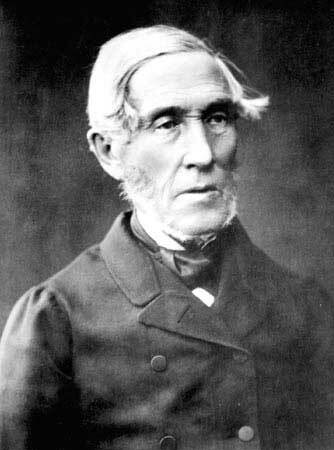 Snellman, born on May 12th 1806 in Stockholm, Sweeden, moved to Finland with his family in 1816. Snellman was a lecturer at the University of Helsinki and became very popular among students at the school. His lectureship was recalled in 1838 and he moved back to Sweden until 1842. He became even more popular with the students while he was gone but the college would not higher him back. As a philosophy lecturer and later professor, he lectured his students about the phylosophy he had on education as well as how children should be raised in order to turn in to productive citizens. Uno Cygnaeus, was a clergyman and educator who was thought to be the father of public school education in Finland. He was also a supporter of women education as well as pushed the importance of teaching crafts in schools. 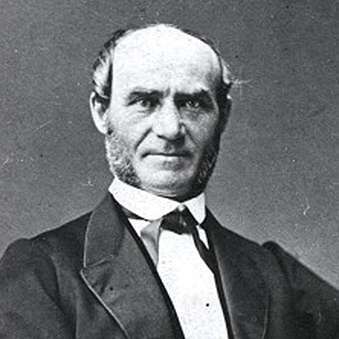 He was born on October 12, 1810, in his 78 years of life, Uno Cygnaeus was a supporter and advocater for elementary education and he also became an inspector of public schools. He promoted equity among school systems throughout Finland. If we can change the focus away from ourselves on towards the good of the community, we have a fighting chance in improving the education system children in the USA receive. Programme for International Student Assessment, and Organisation for Economic Co-operation and Development. 2011. Lessons from PISA for the United States. Strong performers and successful reformers in education; Strong performers and successful reformers in education. Paris: OECD. http://public.eblib.com/choice/publicfullrecord.aspx?p=714229. Uusiautti, Satu, Merja Paksuniemi, and Kaarina Määttä. 2013. "At the Roots of Finnish Elementary Education--How Were Children Raised in the First Finnish Elementary Schools?" International Electronic Journal of Elementary Education 5 (2): 171-184. Nyberg, René. 1970. Educational Reform in Finland in the 1970s. Reference publications, 4; Reference publications (Finland. Opetusministeriö), 4. Helsinki: Ministry of Education. Gustafson, Matti., and Finland. 1967. Education in Finland. Reference publication, 2. Helsinki: Ministry for Foreign Affairs. Lindegren, Alina Marie. 1941. Education and Service Conditions of Teachers in Scandinavia, the Netherlands and Finland. U.S. Office of education. Bulletin 1940, no. 9; Bulletin (United States. Office of Education), 1940, no. 9. Washington: U.S. Govt. Print. Off..
Happo, Iiris, Kaarina Määttä, and Satu Uusiautti. 2013. "How Do Early Childhood Education Teachers Perceive Their Expertise? A Qualitative Study of Child Care Providers in Lapland, Finland." Early Childhood Education Journal 41 (4): 273-281. doi:10.1007/s10643-012-0551-8. Rutanen, Niina. 2011. "Space for Toddlers in the Guidelines and Curricula for Early Childhood Education and Care in Finland." Childhood 18 (4): 526-539. doi:10.1177/0907568211399366. Campbell-Barr, Verity, and Mikael Nygård. 2014. "Losing Sight of the Child? Human Capital Theory and Its Role for Early Childhood Education and Care Policies in Finland and England Since the Mid-1990s." Contemporary Issues in Early Childhood 15 (4): 346-359. Teachers are extremely qualified to teach the next generations and this has an enormous impact on the quality of schooling students are receiving. At age nineteen, students have the choice of attending Universities or Polytechnic schools, and after this, if students have not already, they join the work force. See figure 2, for a diagram of the education system organization. Elementary school teachers are often the top of their graduating high school classes, and have enormous respect from the community. There needs to be mutual trust, understanding, and respect to achieve this goal, as well as raising and educating children properly. Information gathered from... Jutikkala, Eino, Kauko. Pirinen, and Paul. Sjöblom. 1962. A History of Finland. Books that matter; Books that matter. New York: Praeger. America also needs to change it’s focus away from the common core and such detailed standards to be met. Schools need to become more “full-service” and provide families who cannot afford it, the tools necessary to succeed in school and in life. Teachers are extremely qualified to teach the next generations and this has a huge impact on the quality of schooling students are receiving. There need to be mutual trust, understanding, and respect in order to achieve this goal, as well as raise and educate children. In 1955 Finland joined the United nations, and in 1995 Finland joined the European Union. Takala, Sauli. 1994. Developing Language Teaching in Finland: Where does Content-Based Language Teaching Fit?. https://search.proquest.com/docview/62712199?accountid=9784. Sauli Takala worked at an education and research institute for the Applied Language Studies Center. During his time here, he researched and wrote a document regarding the teaching of language in Finland as well as focusing on the internationalization of the education system in Finland. He discusses the most beneficial way to cope with the internationalization of modern life. Contrary to Doege, this article talks about the constant changing of education instead of focusing just on the aim to create civic societies. This primary source will be used to investigate Finland’s opinions on the changing society and when content based learning should be taught to students. Campbell-Barr, Verity, and Mikael Nygård. 2014. “Losing Sight of the Child? Human Capital Theory and Its Role for Early Childhood Education and Care Policies in Finland and England Since the Mid-1990s.” Contemporary Issues in Early Childhood 15 (4): 346-359. Verity Campbell-Barr is a professor at the Plymouth Institute of Education, United Kingdom and Mikael Nygård is a professor at the Åbo Akademi University, Vasa, Finland. These authors discuss how both England as well as Finland rely on Early Childhood Education as a major tool for balancing work and supporting cognitive development of children. This article provides a different perspective compared to Happo, Määttä, and Uusiautti’s article regarding teachers perceptions and ideas toward early childhood education. This secondary source would be used to understand the parents balance between their children and their lives. The Finnish American Reporter, Richard Doege, is a political economist who focuses his research on the organization of societies as well as governance regimes. He discusses in this article how Finnish schools are moving toward teaching civics in hopes of producing more civic society. Similar to Nyberg, they relate how the change in economic reform while aiming for economic growth, has tremendously helped the education results. This secondary source will be used to help understand the thinking behind the economic change and the effects it had on the education system. Rutanen, Niina. 2011. “Space for Toddlers in the Guidelines and Curricula for Early Childhood Education and Care in Finland.” Childhood 18 (4): 526-539. doi:10.1177/0907568211399366. Niina Rutanen is a professor at the University of Tampere, Finland. She has researched the very youngest children and their place in Finland’s education system. Both the local and national level of childcare is examined and the child’s best interest’s are identified. Similar to Gustafson, the early childhood education curricula is broken down and explained in great detail. With this secondary source I will have a better understanding of the schooling for the youngest children in Finland. Happo, Iiris, Kaarina Määttä, and Satu Uusiautti. 2013. “How Do Early Childhood Education Teachers Perceive Their Expertise? A Qualitative Study of Child Care Providers in Lapland, Finland.” Early Childhood Education Journal 41 (4): 273-281. doi:10.1007/s10643-012-0551-8. Iiris Happo, Kaarina Määttä, and Satu Uusiautti are all educators and researchers who base their research on education and educational psychology. They discuss the basics of early childhood education and childcare. The main point is the study behind child care providers and how they perceive their own skills. Similar to Lindergren’s research on the education and service conditions of teachers, this article focuses on the perceptions and beliefs behind the expertise of teachers. This secondary source will be a resource in understanding teachers role in the success behind Finland’s education system. Alina Marie Lindegren is a specialist in Western European Education. Lindergren looked into the account of teacher education in 1939 as well as answering some of the specific questions posed about service conditions of teachers in Scandinavia, Netherlands, and Finland. Unlike Gustafson’s document which breaks down the education the students go through, Lindegren discusses the education that teachers receive as well as the service conditions of teachers. This primary source will be used to investigate how the treatment and schooling of teachers effects the outcome of the education system. While we know Matti Gustafson wrote the document Education in Finland, it is unclear what else he has done. It appears the Ministry of Foreign Affairs stamped this document in 1967, but this document is the only piece of information or work I can find done by Matti Gustafson. Gustafson discusses the educational practices in schools as well as the different tiers of education and how they function. Gustafson’s work has similar outcomes as Nyberg’s document regarding educational reform in Finland. I intend to use this primary source to get a baseline on how the different levels of education functioned, and what factors made them succeed. During the early 1970s, René Nyberg took a post with the Ministry of Education. He since edited a document published by the Ministry of Education regarding the educational reform in Finland in the 1970s. This document has a broad outline of the educational reform as well as how the educational system operates and the strategies behind them. Similar to the Programme for International Student Assessment by the Organisation for Economic Co-operation and development, both documents harness on the past reforms in Finland’s education strategies to understand the current success. I see Nyberg’s primary source as a critical piece of information that allows me to get an inside look at how the educational system was reformed in the 1970s and the benefit that has come from the reform. The 1970s has been proven to be a pivotal decade for the education reform and success in Finland and this information will be critical for my research. Uusiautti, Satu, Merja Paksuniemi, and Kaarina Määttä. 2013. “At the Roots of Finnish Elementary Education–How Were Children Raised in the First Finnish Elementary Schools?” International Electronic Journal of Elementary Education 5 (2): 171-184. Satu Uusiautti, Merja Paksuniemi, and Kaarina Määttä, are all professors of education at the University of Lapland, Finland. They based their research on the continued educational success in Finland and how the educational history has influenced the new educational success. The authors reveal the way children were raised in the past and how punishments in school and at home were often similar. They discuss how the educational responsibility moved from the church to parents to the state. These authors as well as the Organisation for Economic Co-operation and Development believe it is important to understand the past in order to understand what is needed for future success. I will use this secondary source to begin to understand how Finland’s past will allow for continued success of Finland’s future. The Programme for International Student Assessment is a worldwide study completed by the Organisation for Economic Co-operation and Development, the assessment is performed by fifteen-year-old students in the subjects of math, science, and reading. This study reveals Finland’s continued academic success across all socio economic statuses, family background, and regional circumstances. This study examines the consistent high results and success of Finland’s education system, and the possible reasons behind that success. Similar to Nyberg’s document on educational reform, the Organisation for Economic Co-operation and Development have produced an article that relates the education success to economic development. This primary source comes from the creators of the test that assess students on a world level, and I will use their insight in order to understand the success Finland continues to have in the educational realm. Berger expresses how the Native people felt like “strangers in their own land”. The more the Qallunaat or white people started to live on the natives land, the more the Native people felt as if they could not share land with these people. Many Inuit people believed their culture was being lost in the ways of the white people. But now we start to see that while many people still believe the Inuit culture is being lost they have also received and adapted to certain Qallunaat ways. The white people introduced things such as riffles for hunting and the use of snow mobiles instead of dog sleds. The more the Inuit are using the new technologies and ways of the white people, the further and further they get from the culture and the way they used to live on the land. The land that the native people have lived in for centuries are being over taken and changed by white people. The culture and ways that the natives once knew are no longer what is relevant on the land. The hunting has changed, the people have changed, and the ecosystems have changed, and this has caused native people to wonder how their land has shifted so far away from the culture and ways that they have always known. Some native people and cultures have started to feel as though they are gaining back control by governing their own land, but native people will never live on their land as their ancestors once had. Edmund (Ned) Searles (2010): Placing Identity: Town, Land, and Authenticity in Nunavut, Canada, Acta Vorealia, 27:2, 151-166. Berger refers to wanting to obtain the views regarding the Mackenzie Valley Pipeline, from the native people of the Western Arctic and the Mackenzie Valley. This area was called the western arctic when this inquiry was written and now it is more often referred to as the Northwest territories. 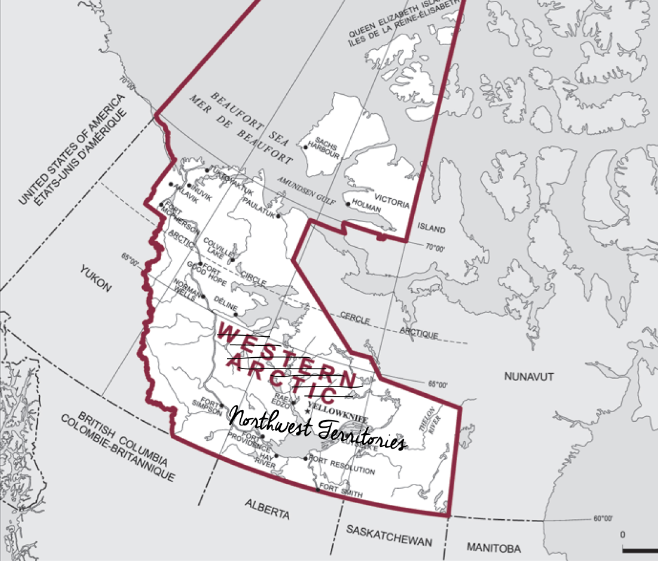 The Western Arctic, or North West territories, contain parts of Canada such as the Beaufort Sea, Yellowkinfe, Fort Simpson, Fort Goodhope, Norman Wells, Deline, Inuvik, and many more. Berger when speaking of the Western Arctic was referring to the northwest territories in Canada, but there is also the Western Arctic in Alaska. The Canadian Western Arctic is home to the Mackenzie River, which is the second largest river in all of north America. In the decade after 1960, oil companies spent 25 million dollars on the development of wells. As of 2013, the Legacy Well Strategic Plan, made a plan to clean up some of the abandoned oil wells that are no longer in use in the Western Arctic. While Berger’s inquiry was about the threats the Mackenzie Valley Pipeline would have on the Western Arctic, there are still other threats happening in the Western Arctic. Some of the current threats to the Northwest Territories are the oil and gasses immediate threat to wildlife and the extremely fragile ecosystem in the Arctic. Another huge threat to the Western Arctic is climate change. The Arctic is warming twice as fast as the rest of the world and this is a problem for the fragile Arctic ecosystem. So while the Mackenzie Valley pipeline was never built, the common threats that people were scared of are still occurring. "BLM to clean up old oil wells in western Arctic." BLM to clean up old oil wells in western Arctic. September 26, 2013. Accessed March 08, 2017. http://wilderness.org/blog/blm-clean-old-oil-wells-western-arctic. On the north side of the Mackenzie Rivers in the Northwest territories of Canada, lies Norman Wells. There is a northern research station at Norman Wells. Next to the research station lies Imperial Oils, oil production facility. Raymond Yakeleya is a film director who has taken the stories of families who were forced out of their homes by Imperial Oils. Raymond Yakeleya spoke at Norman Wells on August 9th, 19575. Raymond Yakeleya was speaking on behalf of his people, the Dene people, and their opinions regarding the proposed pipeline. On this day, he expressed, how after all of the words said against the pipeline at this conference, what he is really hoping for is that the government will start to trust his people. The goal is to work as equals, to work without creating further division and separation between the people. For his people they don’t want to feel as outcasts and they don’t want to feel ashamed of who they are. They don’t want to have outsiders decide their futures anymore, they want to be able to decide their own futures, they know more about their land and should be treated as equals and not as less. He expresses that the Indian people are not fighting the white people for money but instead are fighting for their lives. The Dene people do not care about the money the pipeline will make but instead they want to know what benefit it will have for their people. They believe the pipeline will be harmful to the environment and they don’t want the pipeline to be forced upon them. Proceedings at Community Hearing. Proceedings of Mackenzie Valley Pipeline Inquiry, Norman Wells, NWT. Vol. 21. Burnaby, BC: Allwest Reporting Ltd, 2003. 1-148. Accessed March 5, 2017. http://www.pwnhc.ca/extras/berger/report/NT%20Norman%20Wells%20Berger%20V21.pdf. Chief Jim Antoine was the Chief of the Liidlii Kue First Nation. At this time he had been Chief of these people for a year. The Liidlii Kue people had a lot of issues with the white people and the way they treated their land and treated the Liidii Kue people. The Liidii Kue people were against the pipeline and they tried to follow appropriate measures to make their voices heard. Chief Jim Antoine would speak out about the issues the Liidlii Kue people felt passionate about. Due to the racial tensions in Simpson, the tension was often taken out on Chief Antoine every time he spoke out. Because of Chief Antoine’s efforts the nonnatives attacked him for attempting to speak out on behalf of his people. The Liidlii Kue people are so frustrated with their efforts to be heard, being shut down, that they were at the point where Chief Antoine was ready to work on changing the system in order to create respect for the Liidlii Kue people on their land. Proceedings at Community Hearing. Proceedings of Mackenzie Valley Pipeline Inquiry, Fort Simpson, NWT. Vol. 26. Burnaby, BC: Allwest Reporting Ltd, 2003. 1-111. Accessed March 5, 2017.